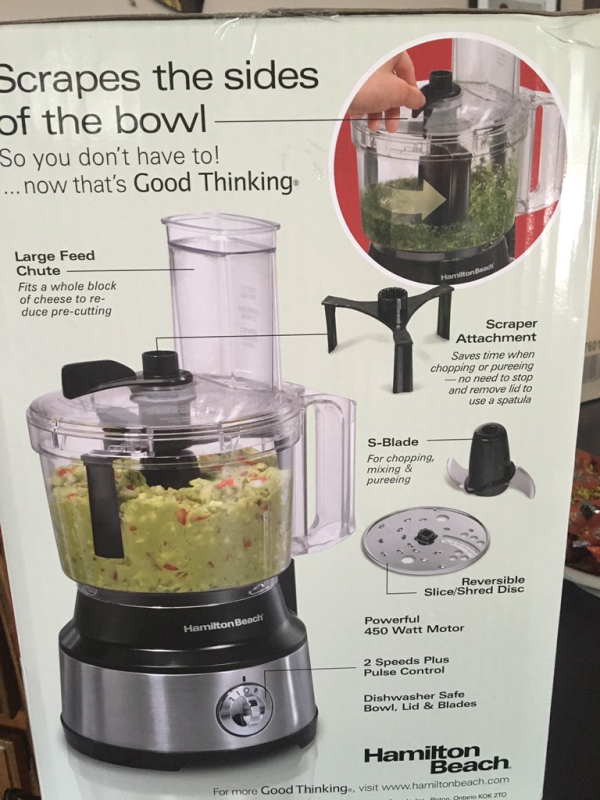 Kitchen Gadget Reviews – Get Cooking! Somewhere along the way, I have developed an obsession with silicone kitchen gadgets and gizmos. The material seemingly lasts forever, is a cinch to clean and work with, and is almost always fun and colorful (two of my favorite life ingredients). The Silicone Heart, Star, and Round Egg (or Pancake) Rings pictured here aren’t anything but awesome. 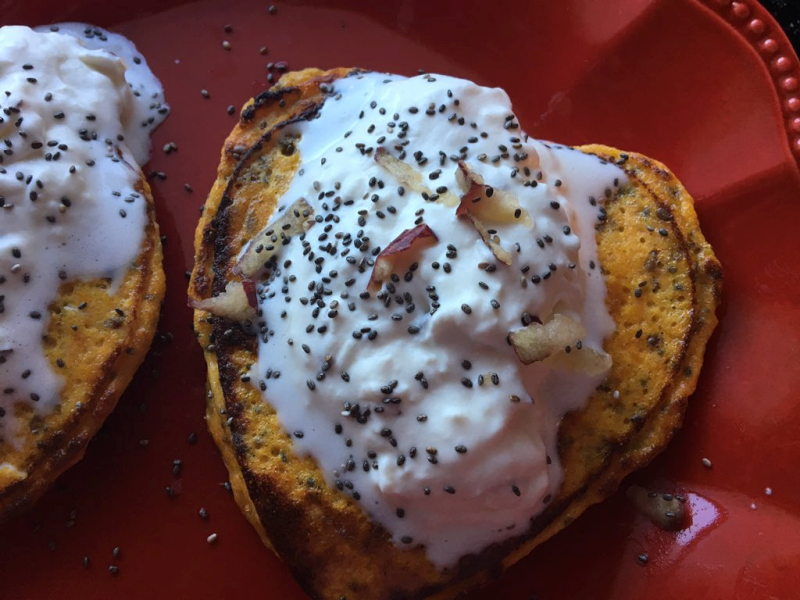 In the picture above and below, I used the heart-shaped ring to make Sweet Potato Pancakes (click the link for the recipe). They turned out beautifully – the pancakes at no point tried to stick. I’ve used these rings with traditional pancakes and, again, they didn’t even think about sticking to the ring. I’ve also used the rings for eggs (as any self-confessed egg fanatic would do) and they couldn’t work any better than they do. NO sticking whatsoever. I’ve used metal egg rings in the past that did stick – even when buttered – but these silicone rings don’t even come close to sticking. I love the looks of a perfectly round fried egg. I don’t know, it just does something for me. 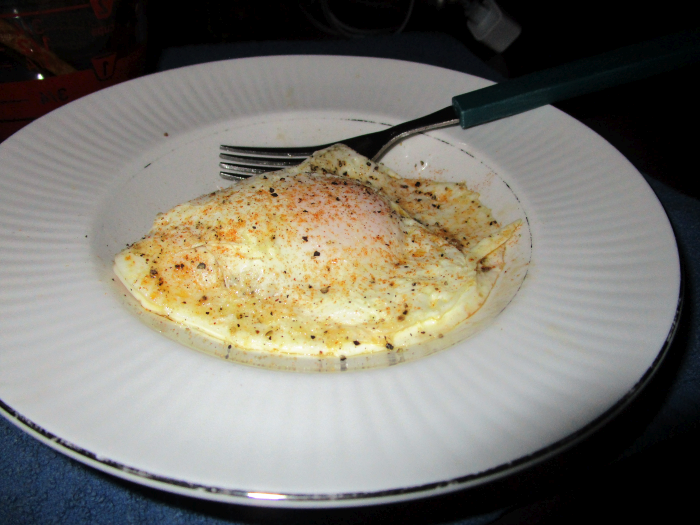 You can see pictures of the perfectly round fried eggs in my Krusteaz Gluten-Free Mixes review. A few of these well-rounded guys are keeping company with a gluten-free waffle. I’ve had a lot of fun with the heart-shaped and star-shaped rings as well. The heart-shaped one will (of course) serve me well on Valentitne’s Day and the star one will come in particularly handy on the Fourth of July. Who are we kidding, though, I use them the rest of the year, as well. They’re just too fun not to! 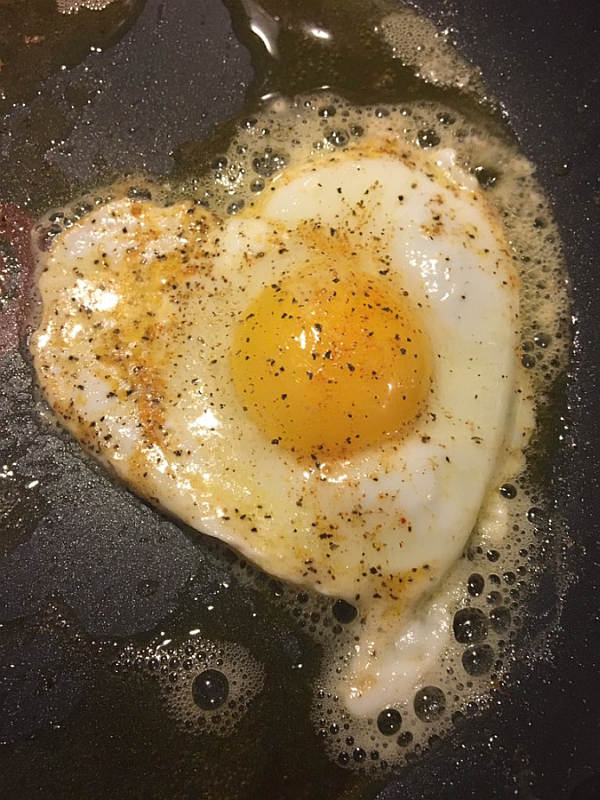 Find the Silicone Heart, Star, and Round Egg (or Pancake) Rings on Amazon for just under $10. When it comes to kitchen gadgets, tools, and dishes, it doesn’t take much to make my foodie/cook/food-blogger heart skip a couple of beats. A new spatula, tongs, beautiful coffee mug, or even new wooden spoon (I guess you’ll believe me next time I say it doesn’t take much) leave me positively giddy. After the obligatory pic-tures were taken, I took it for a test drive with one of my favorite things to cook/eat/photograph – eggs over easy. Side story: When I was growing up, my mom cooked all of the suppers but my dad cooked all of the breakfasts. It possibly had something to do with the fact that my mom was a night owl who detested mornings. Anyway, he knew how I loved my eggs and we always referred to them as “runny eggs.” (since I was old enough to speak, I wanted them to spill out golden yumminess all over my sausage, bacon, or whatever else was on the plate). I guess I assumed that “runny” was their God-given name, not just a dad-given name, so once we were at a restaurant (I wasn’t very old, in my defense) the server asked how I wanted my eggs. You guessed it, I answered, “Runny” – to which my dad QUICKLY intervened, “Over Easy.” I was really glad he spoke up because the server looked even more loss for words than my husband. Okay, so I wasn’t that young. The Pioneer Woman’s All Purpose Turner is beautifully flat so it slid right under the egg without having to be convinced. It has been a dream come true with burgers, veggie burgers, fish, sauteed onions, fried mushrooms, and many runny eggs. This well-made and great-looking turner is what I’ve always wanted from a spatula/turner and then some. 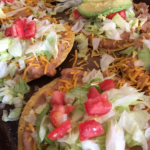 One thing I love (harkening back to the pic-tures perhaps) is that the Pioneer Woman’s All Purpose Turner allows your food to be more beautiful. Why? 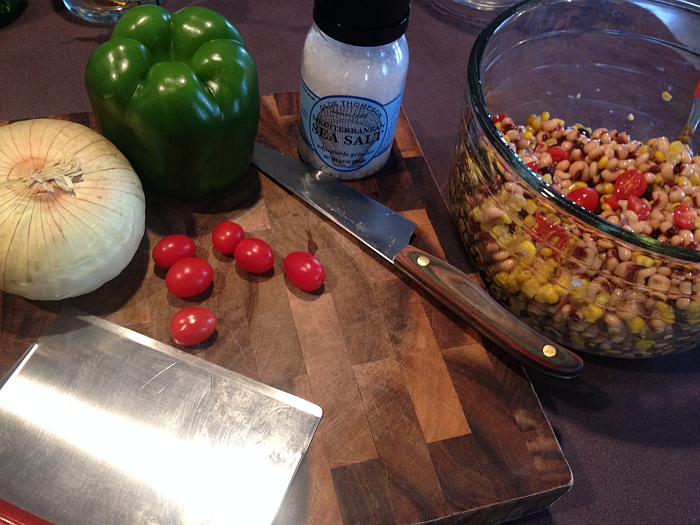 Simple – because you don’t have to wage war on it in the skillet anymore. This one qualifies as a MUST HAVE, guys. In fact, it’s even a MUST HAVE if you already have one. I love it so much, I want to add to its family. It’s going to be a large brood. 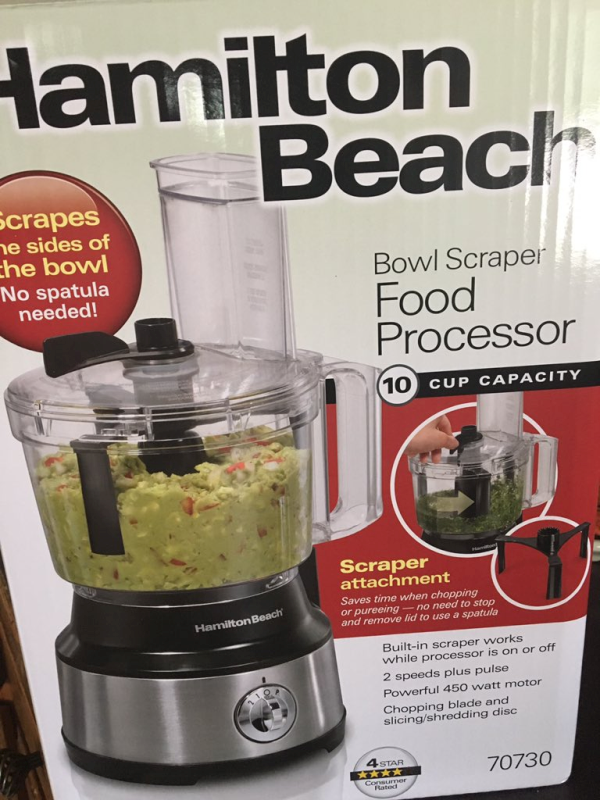 My husband recently surprised me with a Hamilton Beach 10-Cup Food Processor, with Bowl Scraper (affiliate link) and I am completely infatuated with it. I’ve been going out of my way to find things to process – driving my cat crazy in the processes. Seriously, it’s just a perfect food processor for everything. My old processor (which was a Hamilton Beach, too) wasn’t just old, it was probably one of the first food processors ever made. I’d actually love to know how old it was, just out of curiosity. I do know it was well over 10 years old. … a brand new beauty! The Hamilton Beach 10-Cup Food Processor, with Bowl Scraper (affiliate link) is the number one bestseller on Amazon in food processors and, after using it, I’m not the least bit surprised. First of all, it carries one of the most trusted and turned-to names in appliances, Hamilton Beach. Second of all, the bowl scraper is all kinds of ingenious. Anyone who has ever dodged blades with a spatula knows that this is an invention long overdue. Third of all? It’s downright handsome. I’m sorry if this sounds girly, but as someone who cooks all day everyday (ahhhh, the life of a food blogger – making and even eating brownies falls under the category of being productive), my appliances sit out at all times. 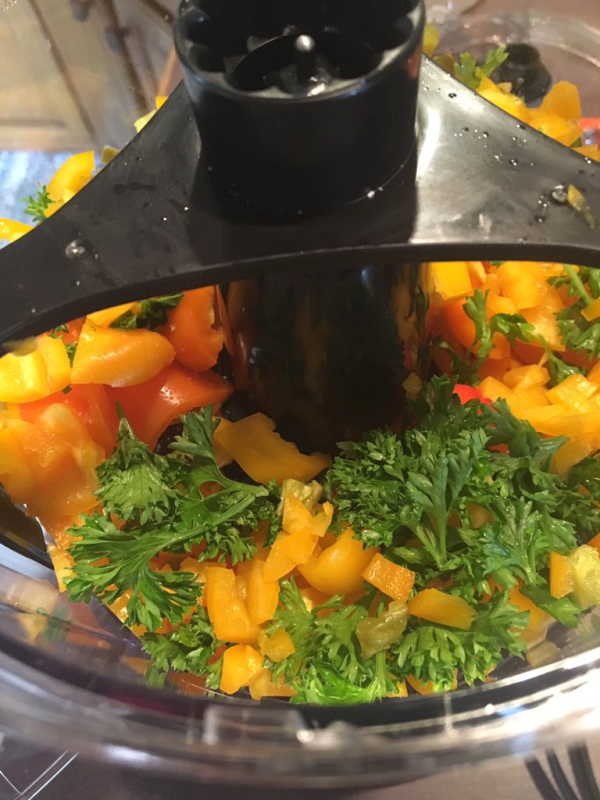 If I’m going to be looking at them every single day… and I am… I want them to be a feast for the eyes and this food processor most certainly is. Fourth of all, it’s simple to use. 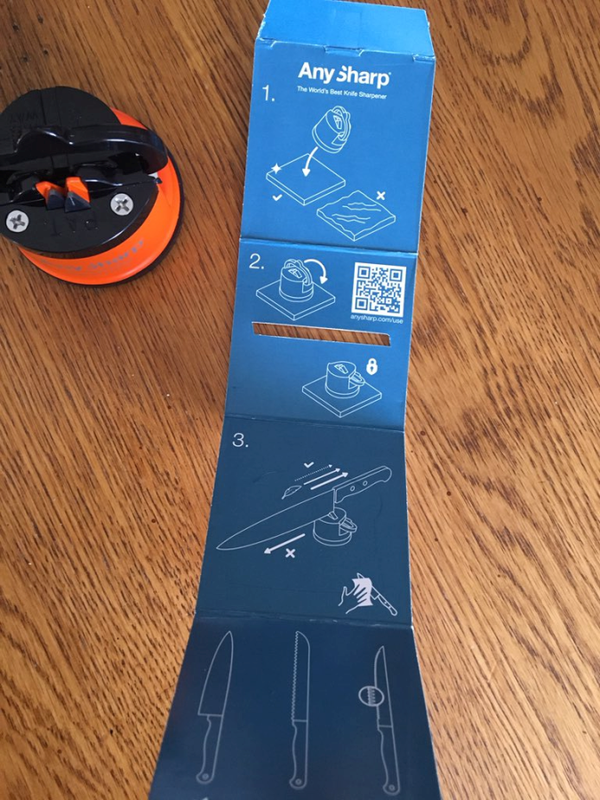 Step by step illustrations and even a very helpful box make it as simple as it gets. The only way it could be any simpler would be if someone came into your kitchen and used it for you. Then again, you’d have to feed them, so it wouldn’t really be that simple after all, would it? I’ll stick with the box. He didn’t even ask for a glass of tea. If you’re one of those rare birds who’ve never bought a food processor because you think it’s simpler to chop everything with your knives, we have got to talk. 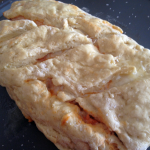 When you’re making a meal, any task that you can make easier on yourself is just good sense. Take Thanksgiving, for example. A food processor cuts your work making the dressing in half. 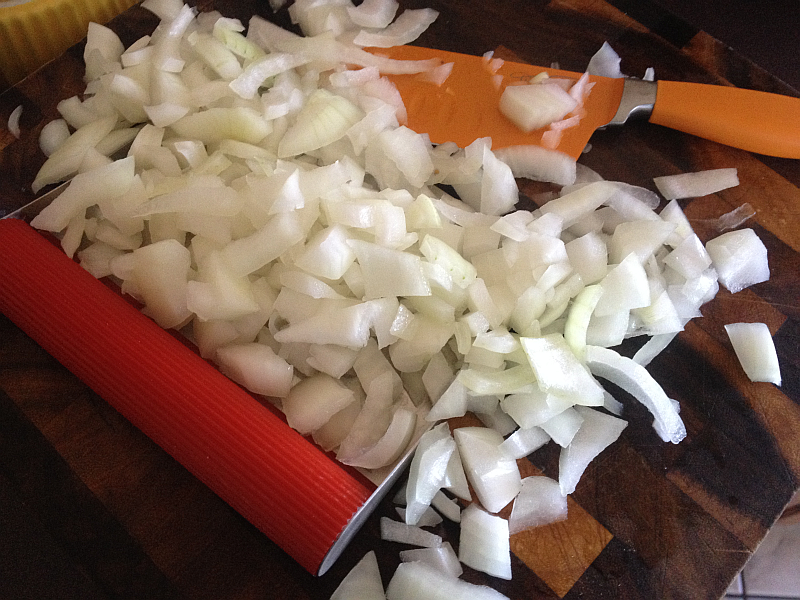 Celery, onions, breadcrumbs, sage leaves… it is so much simpler than standing at the counter all morning chopping away. 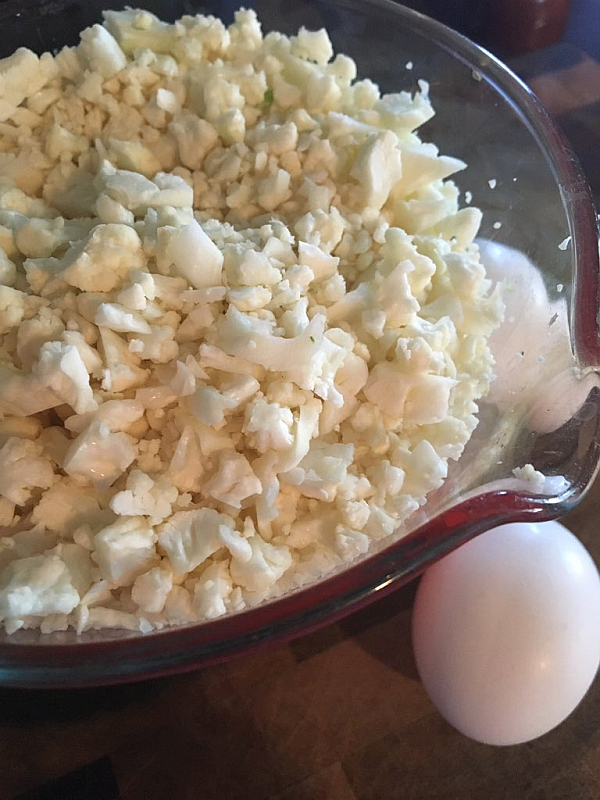 Cauliflower Rice: Cut your cauliflower and process it in the food processor. If you only used your food processor for making cauliflower rice and nothing else, it’d be more than worth it. Cauliflower is insanely good for you, so replacing rice in traditional recipes with something so healthy is all kinds of smart. I use cauliflower rice in place of regular rice in stir fried rice (pictured below) and it is out of this world good. Here’s something whacky I’ve discovered with cauliflower stir fried rice – when I make traditional stir fried rice, I don’t just walk, I RUN to my bottle of gluten free soy sauce. I wouldn’t even dream of eating it without a splash or two or twenty. However (and I have zero idea why), with cauliflower stir fried rice, it doesn’t need any soy sauce. In fact, it tastes better without it, in my opinion. 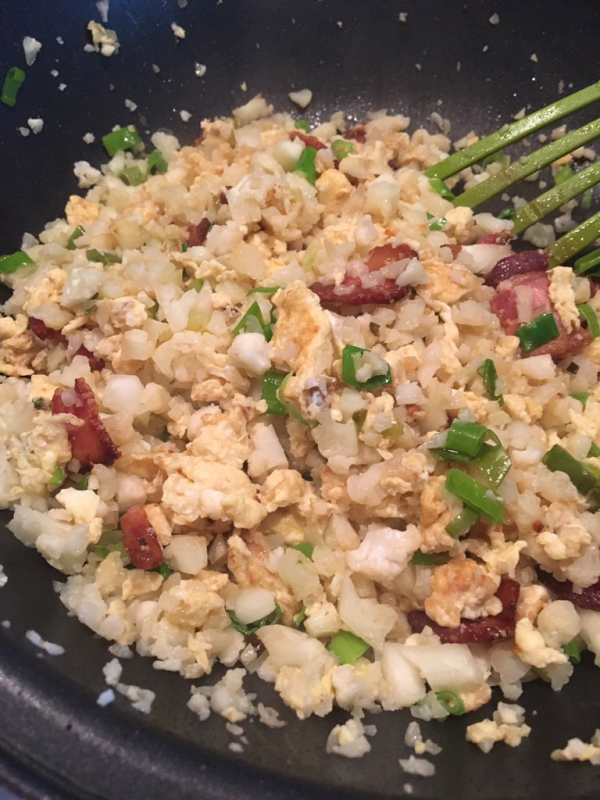 The bacon, onions, eggs, and cauliflower rice work beautiful magic together. It’s something you have to try for yourself to understand. It’s amazing. I whole-heartedly recommend the Hamilton Beach 10-Cup Food Processor, with Bowl Scraper (affiliate link). It more than earns its #1 Amazon ranking. 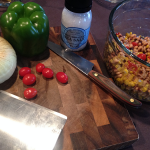 I fell madly in love with cooking when I was 19 – never-mind how long ago. 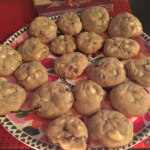 Let’s just say it means I’ve been an avid cook for many moons. Many suns. However, even after so many moons and suns, I’ve never been fond of poaching eggs. I absolutely love them, mind you, but the whole process just does not float my boat. That has completely changed this past week, however. I was sent a bright, beautiful set of Silicone Egg Poachers (from HighFive Naturals) and my boat isn’t just floating, it has set sail. A poached egg contains only 70 calories, as opposed to fried eggs or scrambled eggs which are often accompanied by butter, milk, and cheese. A large poached egg supplies more than 6 grams of high-quality protein, 4.7 grams of mostly unsaturated fat and significant amounts of vitamin D, antioxidant compounds and choline – a nutrient essential to Healthy Brain Function. Set Of 5 egg poachers in bright, vibrant colors. Innovative design allows you to make perfectly poached eggs every single time. Clear, concise, and easy instructions takes the guesswork out of poaching eggs. FDA Approved Food-Safe Silicone, BPA-Free, Temp Resistant form -40 to 450˚F, Dishwasher, Microwave, Freezer and Oven Safe. Highly mulit-functional: Use For Baking And Molding, Making Quiche, Custards, Mini-Cheesecakes, Creme Brûlée, Melting Chocolate and Even Steaming Vegetables. Your Purchase is Backed by HighFive Naturals Lifetime Money-Back 100% Customer Satisfaction Guarantee. These beautiful little Silicone Egg Poachers take something that has never been particularly fun to make and does the impossible – it makes you actually WANT to make poached eggs. Poached eggs are delicious all by themselves, served with a meat of your choice, or with a piece of toasted bread. They’re also delicious served atop asparagus. 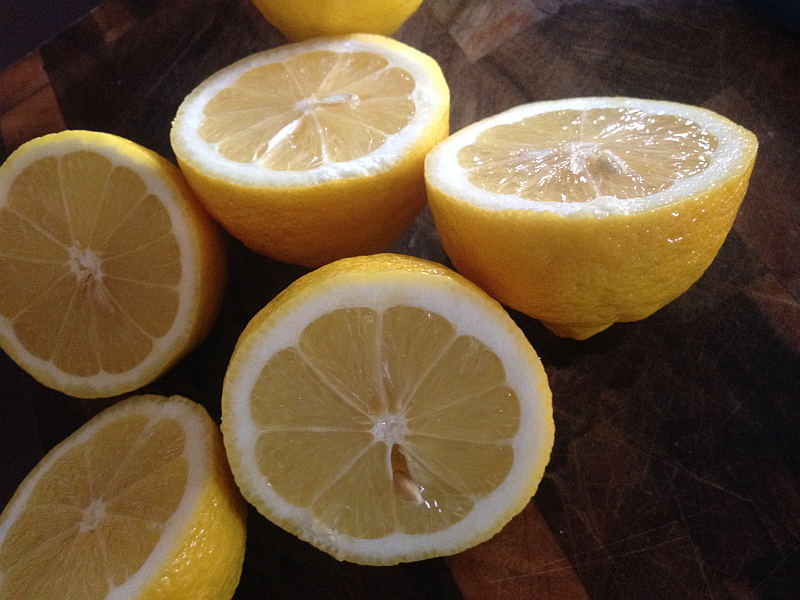 Add a little Hollandaise sauce and you’ve got a party. This set of five silicone poacher “baskets” comes with instructions for easily (and I mean EASILY) poaching eggs – several at a time, even. How cool’s that? Simply bring water to a boil; reduce to medium. Grease the inside of the poacher with olive oil, add the egg and carefully place into the boiling water (about 4 inches of water is necessary). 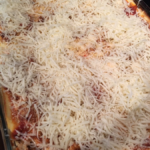 Cover the pot with a lid – I used a glass pie plate because none of my lids are see through, and I wanted to see what was going on. Cook 4-6 minutes, then carefully remove the poachers (I used my spider but a slotted spoon would be fine). Flip the poacher upside down to remove the egg or wiggle it out with a spoon. You can find the beautiful set of 5 colorful Silicone Egg Poachers on Amazon. I highly recommend them! Silicone Cooking Gloves – very, very cool. Everyone knows I collect Rachael Ray kitchen tools, dishes, gadgets, and cookbooks. Strangers on the street stop me and ask what color mopines I have. Okay… not really. I got going and couldn’t stop. Rachael Ray, Wolfgang Puck, Pioneer Woman, and Curtis Stone are four names that you’ll see throughout my kitchen and dining room. 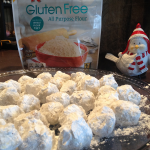 They’re excellent products – from cookbooks to, well, mopines, I’m a huge fan. The beautiful Wooden Stacking Salt Box , shown here, isn’t my newest Rachael Ray kitchen tool, but it is one of my favorites. And, like the garbage bowl and food mover, I use it several times a day EVERYDAY. This beautiful salt box looks great sitting on the counter and, more importantly, is ridiculously convenient and even fun to use…. to the tune of EVERYDAY! 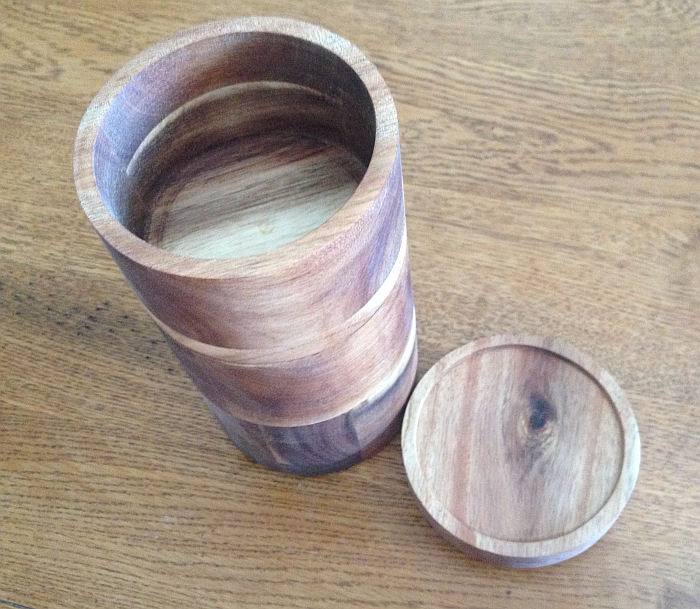 Click through the following link or the picture below for a closer look – Wooden Stacking Salt Box . My family knows me. They know the good, the bad, and the… well, never you mind about the rest. Knowing me like they do, they know that, whether it’s birthday, anniversary, Mother’s Day, or Christmas, buying me anything with Rachael Ray’s name on it is a very safe bet. I’ve collected Rachael Ray cookbooks, dishes, and kitchen tools for as long as I can remember. The bright, happy, vivid colors combined with unsurpassed durability and functionality rock my culinary world. 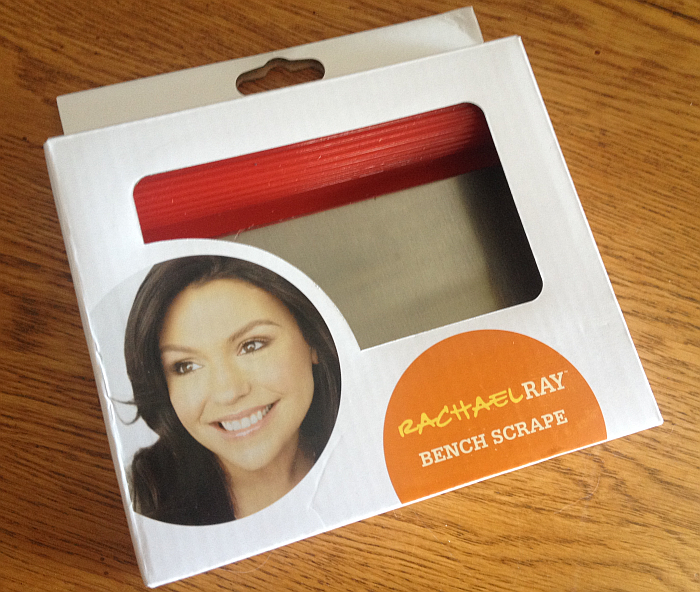 I even buy Rachael Ray products for my daughters – in each one’s kitchen colors. Not only do I know they’ll use (and love) them daily… I know they’ll think about me each time they do. This beautiful purple Rachael Ray Garbage Bowl was actually given to me as a gift a few years ago. I recently came across the pictures in my iPhone and realized I’d never written a review on this kitchen favorite. 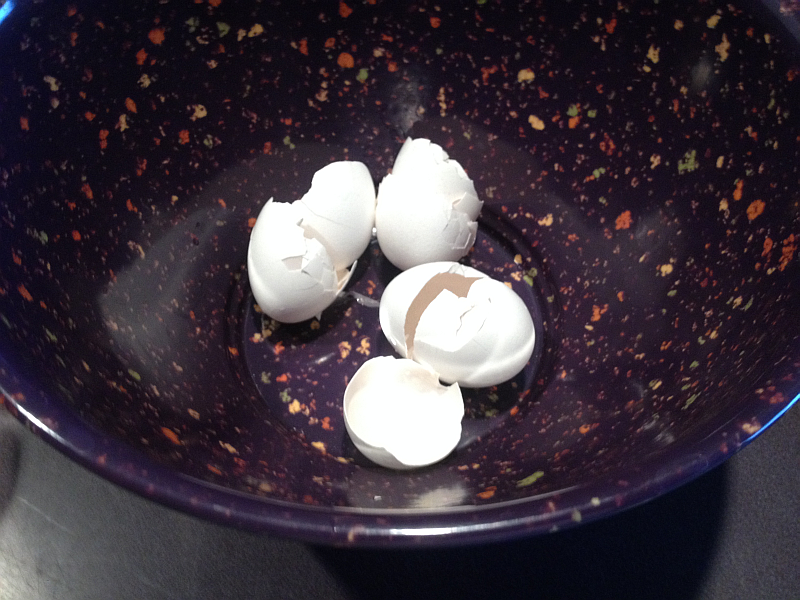 Fast Forward to today… I have used this bowl every single day since receiving it two years ago. Every. Single. Day. It’s just unspeakably convenient to throw peels, cans, rubber bands, foil, etc into as I’m cooking. Grabbing the bowl before I start baking or cooking is as automatic as putting on a seat belt when I get in a car. Not only is the bowl, somehow, just fun to use, it also looks a heckuva lot better sitting on the counter than a grocery bag. What’s more, there’s no “seeping” through or “spilling out” like you get with a grocery bag. 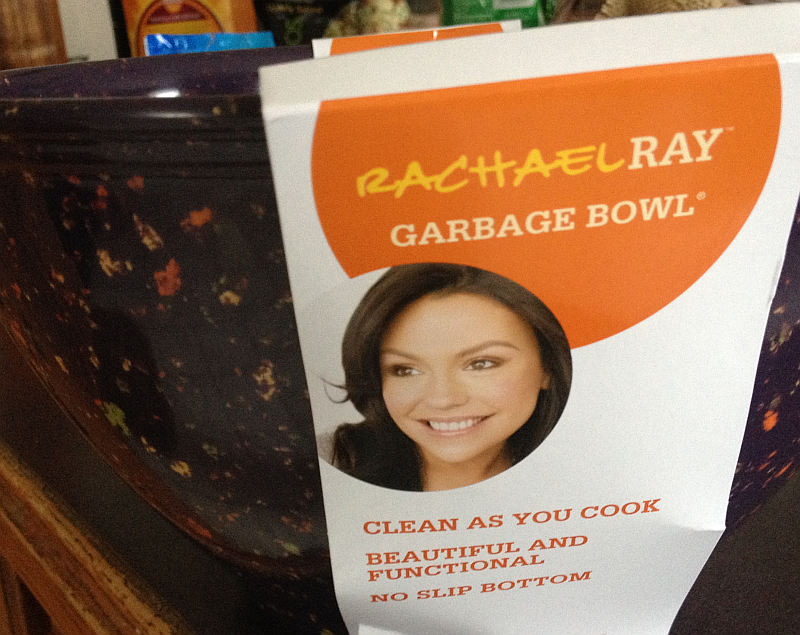 The great looking Rachael Ray Garbage Bowl is available on Amazon in the following colors: purple, red, orange, dark green, green, and blue. 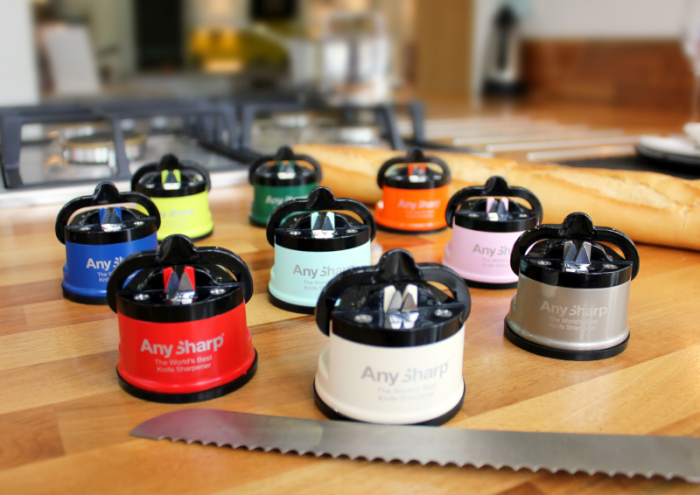 Click through for more information about what will become your next favorite kitchen tool. When you click through, you can even see a short little video of Rachael Ray explaining where the idea of the Garbage Bowl came from. 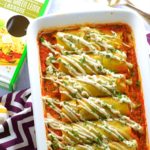 I’ve written a few High Five reviews on Get Cooking before and I’m even more in love with these products today than I was when I first wrote about them. 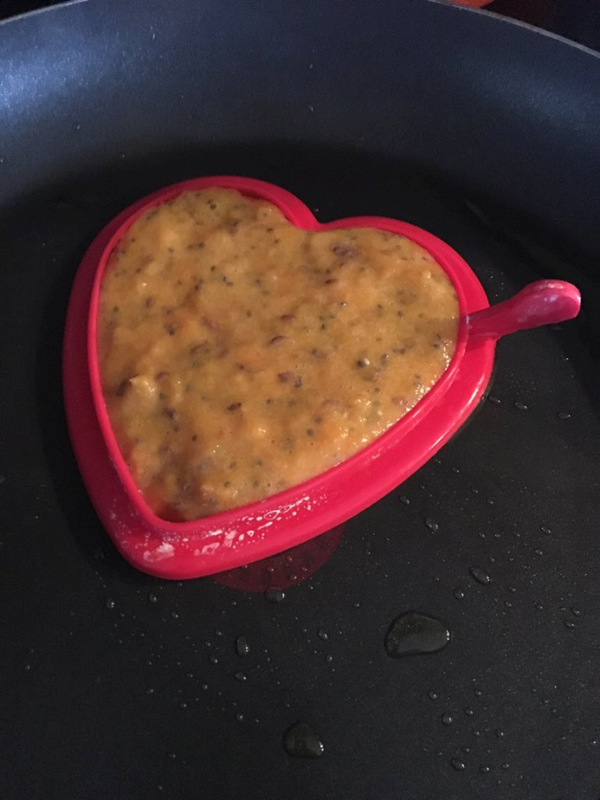 I use the Silicone Cooking Gloves and Silicone Pot Holders daily and wonder how I ever got along without them. 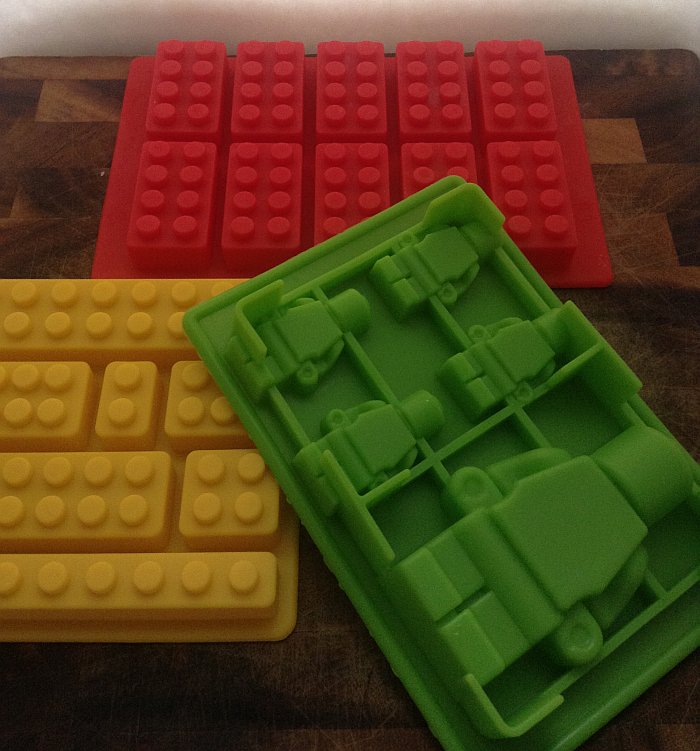 I’m excited to tell you about something else from HighFive Naturals that you’re going to absolutely LOVE – Lego-Style Candy Molds. After your order, you’ll receive great tips, hints, recipes, and colorful pictures in your e-mail. 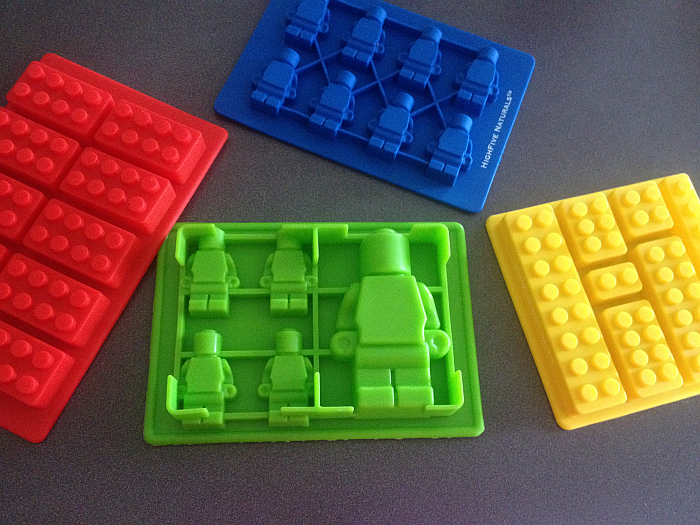 If these Lego Molds aren’t a dang good time waiting to happen, I don’t know what is. Obviously kids are going to love these molds – but so are adults. In fact, I think the adults in my family are having more fun with them than any kid could possibly have – at least as much. Basically anyone who likes to smile will get a kick out of these molds. They work beautifully for ice cubes. Making ice cubes was actually the first thing I did with mine because I thought they’d be uncommonly cute in glasses as well as punch bowls. They are! Not only are they perfect for forming all of the aforementioned goodies, I love the fact that the molds (like all of HighFive Naturals’ products) are so colorful and pretty. I’m all about pretty, whether it’s in the kitchen or out of the kitchen. The bright, vibrant colors go with my own particular scheme which makes it even cooler. This set is available on Amazon at a very reasonable price, so you might even consider ordering some for gift-giving this Christmas while you’re at it. Whatever you do, be sure to order a set by Halloween! With a little creativity, you could turn the “Robots” into Frankensteins while creating a great orange and black theme with food coloring with the other shapes. At Christmas, switch the colors to red and green, and you’re set. You know how summertime is, so you’ll understand that I haven’t had a chance to make candy with these molds yet. I intend to this weekend, though, and I can’t wait! I’ll come back here and post the pictures Monday. Until then, below are a few pictures of what you can do with these molds – using the EASY instructions and recipes that’ll be e-mailed to you. 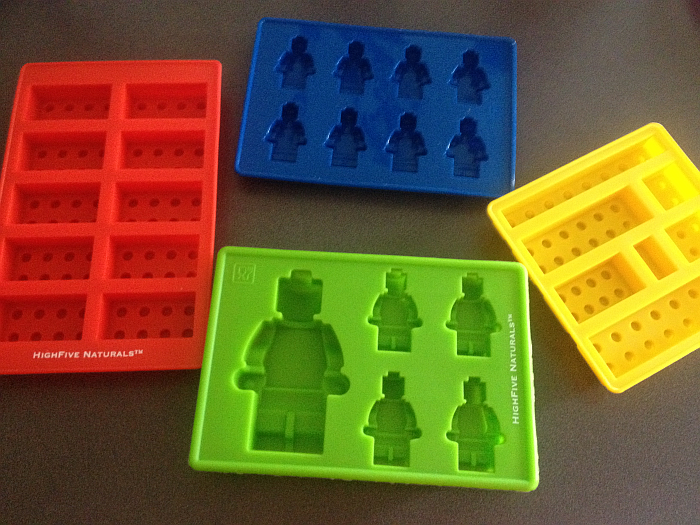 For more information and to order your own set, head over to Lego-Style Candy Molds! 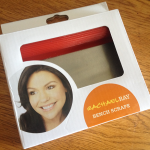 Rachael Ray Bench Scrape or Food Mover…. I’m completely drawn to colorful things in life – the more color, the better. That’s probably half of the reason I collect all things Rachael Ray in the kitchen – everything is available in the brightest, most beautiful and downright “happy” colors. Some collectors choose the same color for each of their Rachael Ray kitchen tools, gadgets, dishes, bakeware, pans, or cookware. I basically go with whatever color I’m “feeling” at the time. If it’s during baseball season, I’m drawn to red (because the only thing I’m thinking during these months is St. Louis Cardinals baseball). If it’s college basketball season, I lean toward blue (UK Wildcats, of course). The rest of the time, I’m liable to choose orange, agave blue, purple, or green, entirely based on my mood at the time. My oldest daughter’s kitchen scheme is ideal for the Agave Blue collection, so I’ve been grabbing her this and that in this beautiful color. Naturally the beauty is only half of the reason I love Rachael Ray’s line of kitchen gadgets and dishes. The other reason is they’re completely fun to use, dependable, and save time and effort. 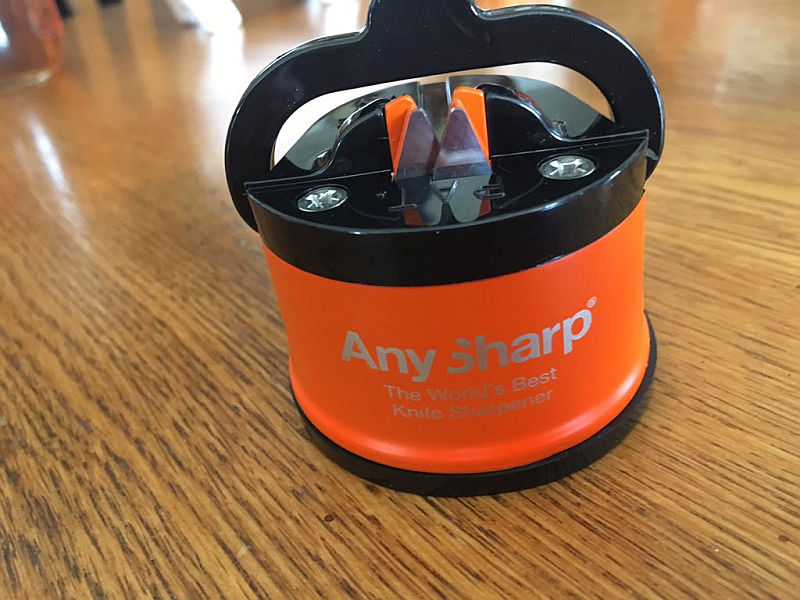 While mine is, obviously, red (must have bought it in the summer) – the bench scrape is also available in orange, blue, purple, and agave blue…. which reminds me, I need to order one for Emily. This is one of those things that, each time I use it, I wonder, “How did I ever get along without you?? ?” Then I remember – with hands that smelled more like onions and garlic and multiple trips back and forth to the stove. 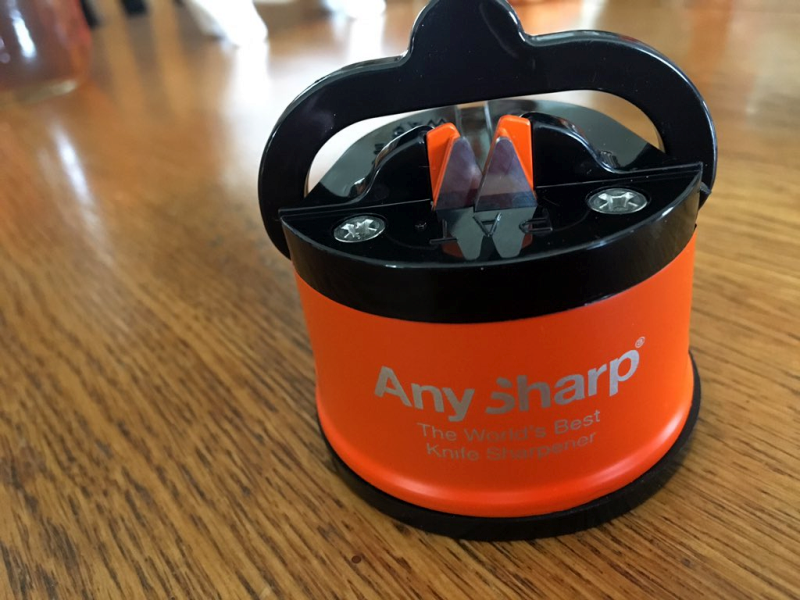 It’s a really cool, fun, and useful kitchen tool and I love it. What’s more, it’s less than $7 on Amazon. With Mother’s Day around the corner, you might want to grab a couple. See Bench Scrape Shovel for more information. 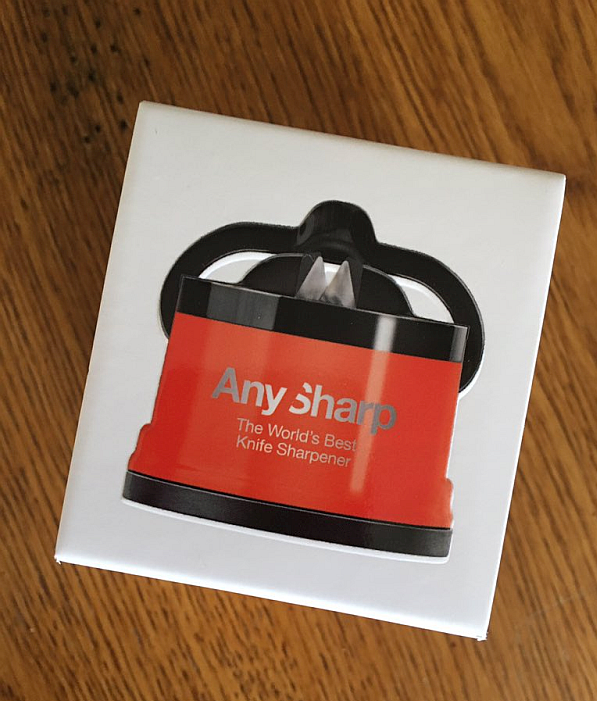 I was recently sent a gorgeous 9 Piece Ceramic Cutlery Knife and Peeler Set from Abundant Chef in exchange for a review and it’s my pleasure to do just that. I’ve enjoyed these ceramic knives – as well as the ceramic-bladed vegetable peeler every single day since they came in the mail. I was attempting to time my review closer to Father’s Day and Mother’s Day, because these would make exceptional, useful, original, and beautiful gifts for Mom or Dad. As far as I’m concerned, no kitchen knife collection is complete without at least one (preferably more than one) ceramic knife. I’d go so far as to say they’re essential. 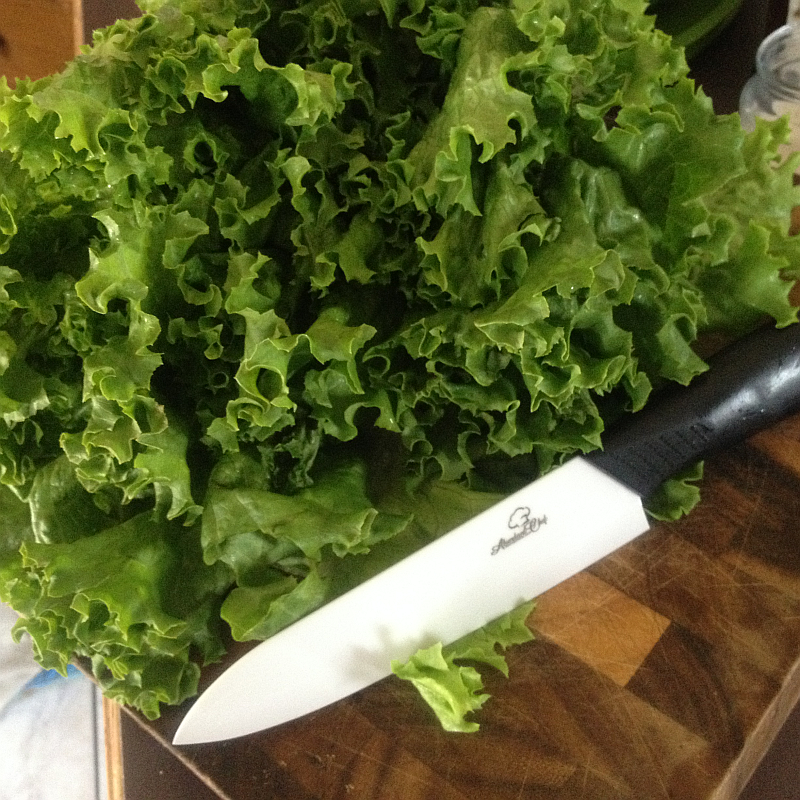 I have varying sizes of steel-bladed knives that I use for meat, but I wouldn’t think of using them for my vegetables or fruit. That’s where the ceramic knives come in. In addition to being extra handsome and light-weight, ceramic knives are a must have when it comes to slicing vegetables. Ceramic knives don’t contain “metal ions.” Without turning a review into a science lesson, this means that ceramic knives (and ceramic bladed peelers) won’t brown your vegetables or fruits. Ever cut lettuce for a salad only to find that, after a few hours in the refrigerator, the cut edges are brown and ugly. It then gives a whole new meaning to “tossed salad” when you have to toss it into the trash! While the fact that ceramic knives keep my vegetables and fruit fresher and prettier is the main reason I love ceramic knives, I also love the fact that they’re lighter than most other knives. 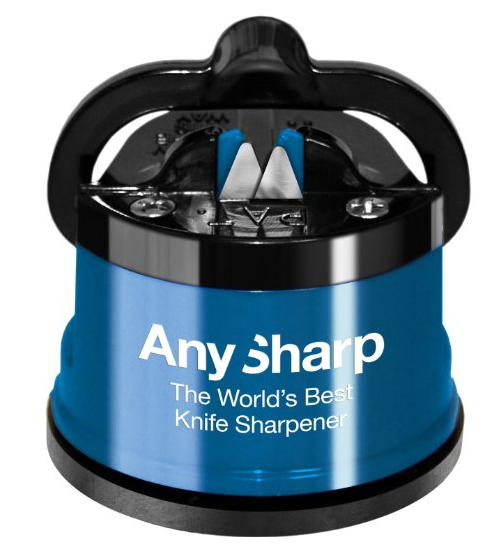 This may not be something most people notice all the time – it’s something you definitely notice around the holidays, when you and you’re knife are working at a furious pace! 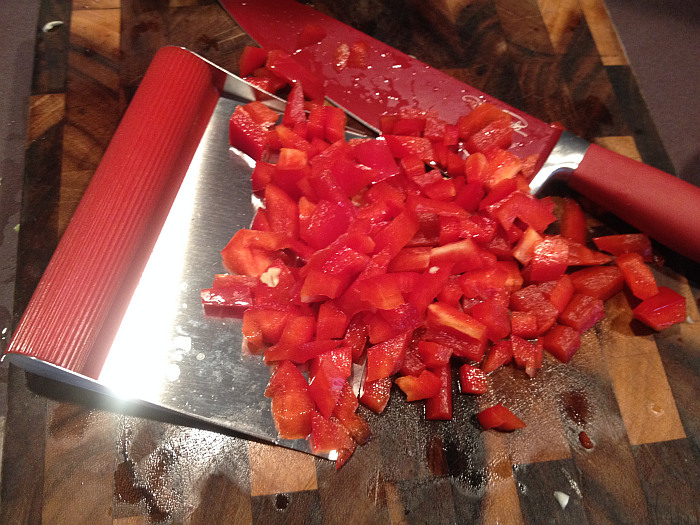 Many people also list durability and the fact that they’re easier to clean as benefits of ceramic knives. 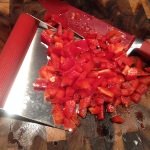 Abundant Chef’s knives are also uncommonly affordable. 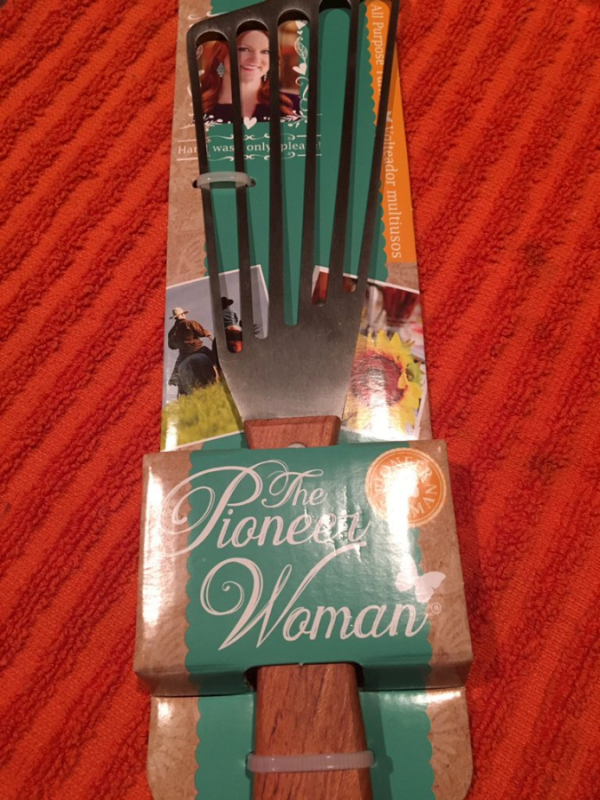 The set that I was sent, the 9 Piece Ceramic Cutlery Knife and Peeler Set, is only $29. 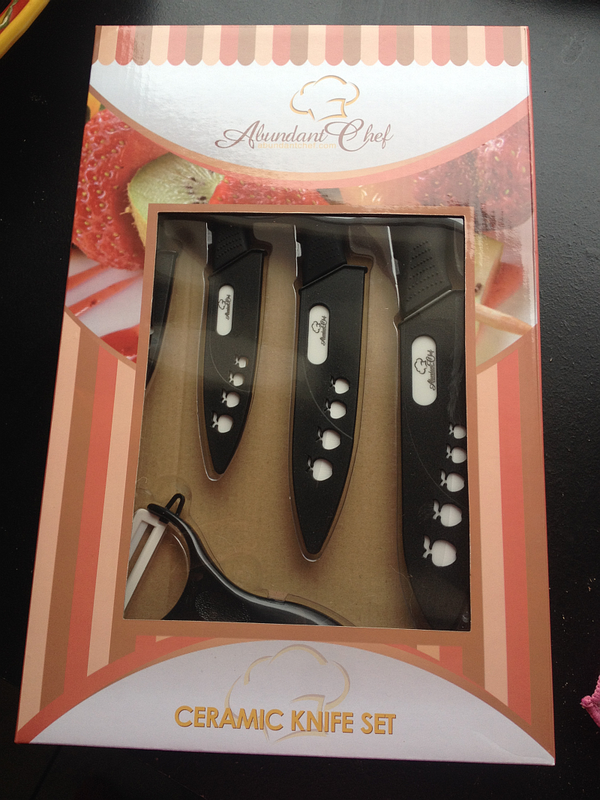 That’s FOUR Ceramic Knives (with adorable “apple cut outs” on their covers!) 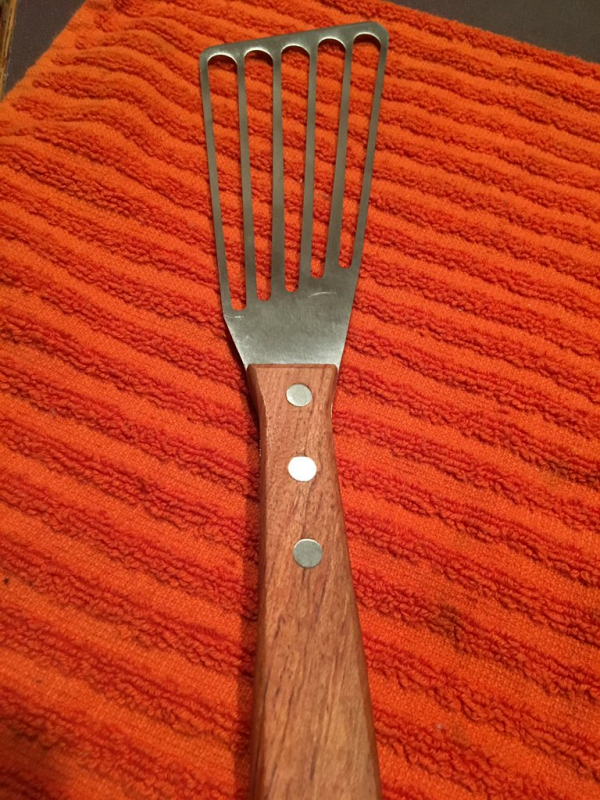 and a Ceramic-Bladed Vegetable Peeler. I’d pay $29 for just one of the knives. I’m over the moon in love with these beautiful knives and I highly recommend clicking through and checking them out for yourselves. In addition to ceramic knives, Abundant Chef also has some really great looking cutting boards, a great “in drawer” Bamboo Knife Storage Block, grilling gloves, and cutting board oil. Everything comes with VERY agreeable price tags. 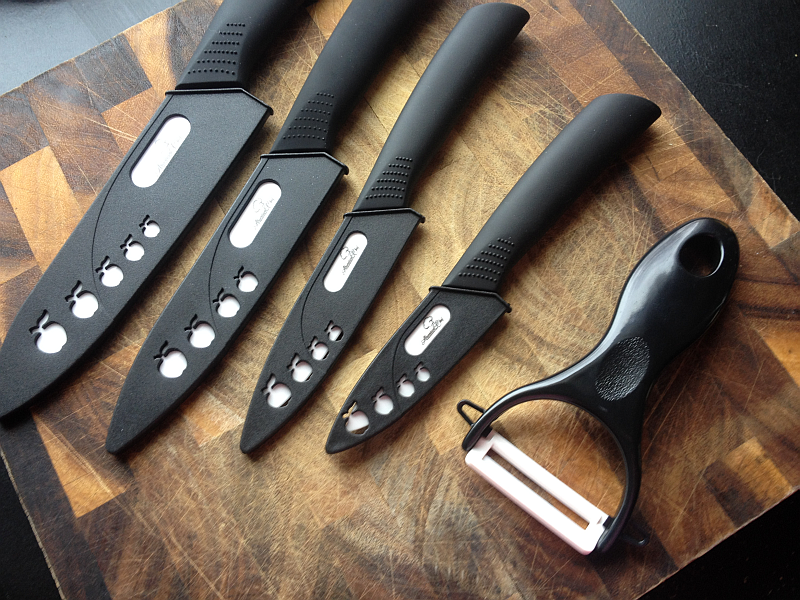 Thanks to Abundant Chef, readers of Get Cooking now have a chance to fall in love with their own set of ceramic knives and save money while doing it! Simply use the code joibuttermilk when checking out to save 30% off your order!